It was because of a hashtag on Instagram they met . Gabriel in Brazil , Sebastian a few miles from here in Sweden. It was 2012, Sebastian, 21 , began following Gabriel, 19, and they start to talk. After two months of hard chating, the Swedish came to know Brazil. Gabriel says that when he saw him he was sure that was with him that he would marry. There were several months of back and forth , infinite airports , tears to spare and they really miss each other, they felt “saudade” of each other . Until the end 2013 , there was the marriage proposal. It was New Year's Eve, they were on a mountain watching the fireworks and Sebastian surprised his boyfriend with the request. Since that day, began the preparations for the ceremony. Gabriel moved to Sweden in July of that year. He said that both participated intensely in this phase . Sebastian's family was involved too. Who organized the party was Sebastian's mother and the pendant that Gabriel used in his tie was a gift from his future father in law and belonged to Sebastian 's grandfather while fighting Hitler in WWII. "The Sebastian family was 100 % involved. I believe that because of Sweden's culture is very different. The marriage and adoption by gay couples here are legalized , people are more open-minded," said Gabriel . As the wedding took place there, Gabriel tried his best to bring elements of their country of birth for the ceremony. Alliances were made in Brazil and his white suit , inspired by the suit of the character Edward Cullen in the Twilight movie, was made ​​by the same tailor who made ​​suits from his grandfather. Today, Gabriel goes by Gabriel Fontana Ervasti , but only in Sweden. Here in Brazil it still has the maiden name in the documents, because here the law does not accept marriage between two men. 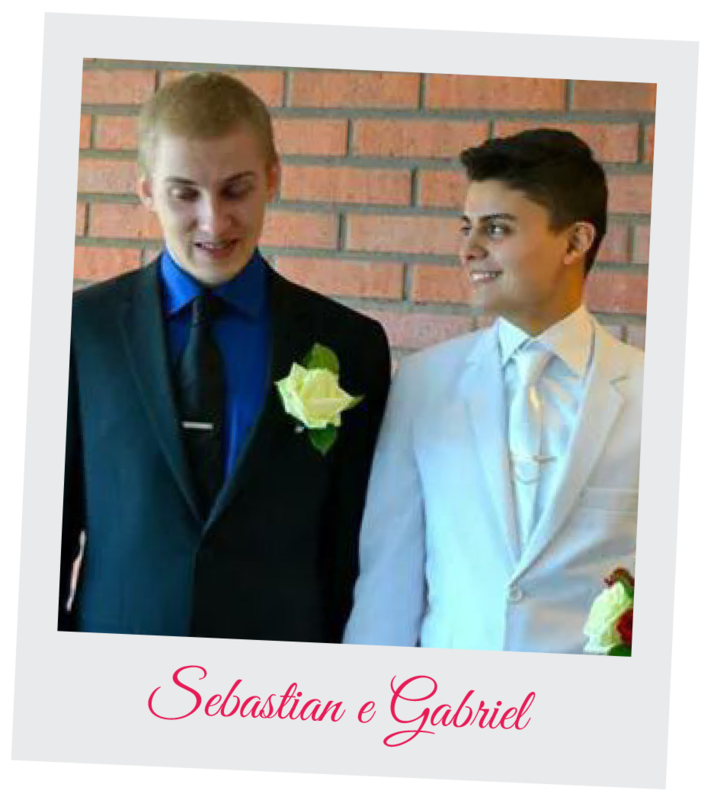 They married in March of that year, Gabriel was 21 and Sebastian, 23 years old. The two say that many people questioned the decision, but they did not care, while acknowledging that the case is curious. Gabriel did not think married early: "I married at the right time, because I found a person who adds me and makes my heart beat faster, I knew it was the right time, even not having much support".